RAM 3500 CREW CAB SLT POWERED BY 6.7 CUMMINS TURBO DIESEL SITTING ON 6 BRAND NEW TIRES AND THIS ONE IS READY TO WORK! 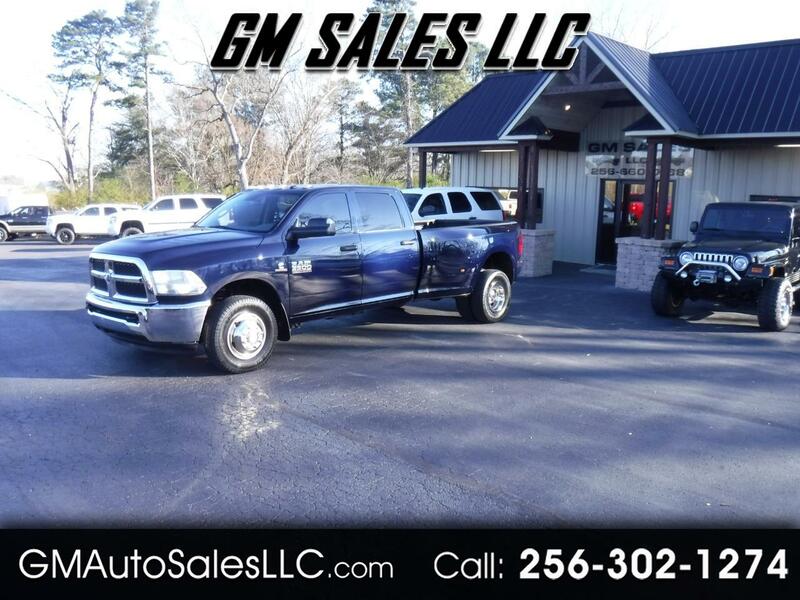 Visit GM Sales LLC online at www.gmautosalesllc.com to see more pictures of this vehicle or call us at 256-302-1287 today to schedule your test drive. WE DO NOT HAVE ANY HIDDEN FEE'S WE COLLECT SALES TAX AND A TITLE FEE FOR THE STATE OF ALABAMA . GM SALES DOES NOT OFFER ANY IN HOUSE FINANCING BUT WE CAN WORK WITH ANY BANK OR FINANCE COMPANY YOU CHOOSE WITH NO PROBLEM. Message: Thought you might be interested in this 2014 RAM 3500.